It is no longer news that good corporate governance has direct correlation to board effectiveness, firm success and sustainability. Directors have similarly been acknowledged as being among, if not the key participants and stakeholders in the corporate governance value chain. In Nigeria, the awareness of corporate governance and the importance attached to it is taking on increasing significance. 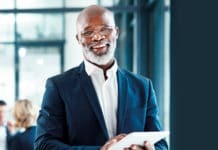 Thus, the roles of directors as a collective, that is as the board of directors and as individuals in the life of a company, cannot be over-emphasised. Given their joint as well as several responsibilities, it is no surprise that directors take interest in better understanding their roles as well as what makes for enhanced board effectiveness, hence the increasing attention to corporate governance awareness and training. Nigerian law defines directors as ‘persons duly appointed by the company to direct and manage the business’ (section 244 the Companies and Allied Matters Act Cap C20 Laws of the Federation of Nigeria 2004 [CAMA]). 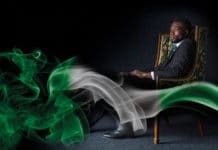 However, by virtue of section 245(1) CAMA, notwithstanding that they were not ‘duly appointed by the company’, a person in accordance with whose directives the directors of a company are accustomed to act, is also deemed to be a director of the company albeit a ‘shadow director’. In addition to these, however, CAMA makes further provisions regarding those who either hold themselves to be, or are held by the company to be directors, leading unsuspecting third parties to believe that they were indeed duly appointed by the company. Section 244(2) states: “in favour of any person dealing with the company there shall be a rebuttable presumption that all persons who are described by the company as directors, whether as executive or otherwise, have been duly appointed’. Section 244(3)(4) makes it an offence for a person not duly appointed to act as though he/she had been and for the company to hold him/her to be as such. It also empowers members of the company to take action against both the director and the company to stop the illegality. Section 250 exonerates the company from liability or consequences for the acts of a person who, though not duly appointed, purports to act on behalf of the company; the person is personally liable in such a case. The section, however provides that if it is the company that holds him/her to be a director then his/her actions shall bind the company. The definition of directors, as per section 244(1), envisages two elements. The first relates to the appointment or mode of appointment of the directors, which must have passed through due process. Thus, they must be ‘duly’ appointed by the company. This, therefore, raises the question, ‘what is due process in the appointment of directors or how can a director be duly appointed by the company?’. In practice, apart from the first directors –whose names are usually mentioned in the company registration documentation – the appointment of directors is usually down to the board. The articles section of the memorandum and articles of association of a company (MemArt) usually stipulate the minimum and maximum numbers of board members a company can appoint. Provided that the maximum board size has not been attained, the board of directors is empowered by virtue of section 249(1) CAMA to appoint directors to fill any ‘casual vacancy’ arising on the board due to death, resignation, retirement or removal. Indeed, section 249(3) CAMA empowers the directors to make fresh appointments to the board not occasioned by any of these events, but within the limits set in the articles. However, the appointments so made by the board are subject to approval by the next annual general meeting (AGM) of the shareholders (section 249). Any director whose appointment is not confirmed at the next AGM ceases to be a director of the company. 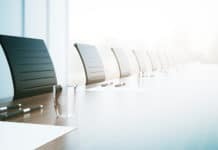 It is noteworthy that although their appointments are required to be approved by the next AGM, such directors, when appointed by the board, are deemed to be duly appointed and can act on behalf of the company for any period prior to the next AGM. Furthermore, even if a particular director is not approved and therefore removed by the AGM, the acts of the director on behalf of the company prior to the AGM remain binding on the company. Although the board of directors cannot expand the board size beyond the provisions of the articles, the shareholders at the AGM can increase or reduce the number of directors generally (section 249) and can indeed amend the provision of the articles. Thus, the process of appointment to the board commences with the board and ends with the AGM. In some industries/sectors in Nigeria, directors’ appointments are also subject to the approval of a regulator. A case in point is the financial services sector, where the appointment of board members is subject to the approval of the Central Bank of Nigeria (CBN). Indeed, notwithstanding any other process that the company may have undertaken in that regard, no director of a bank can be appointed without meeting the CBN guidelines on fit and proper persons regime (CBN Code of Corporate Governance for Banks and Discount Houses in Nigeria 2014) as well as the written approval of the CBN. Where any bank purports to appoint a director, or any director holds out himself/herself as having been so appointed without CBN approval, stringent consequences will flow against the bank and the director from the regulator. The second element of the definition in section 244(1) CAMA deals with the purpose for which directors are appointed; ‘to direct and manage the business’. Companies are created to be run on a going concern basis, which outlives even their founders. They are expected to deliver specific service for which they were set up to their stakeholders and to provide returns and benefits to their shareholders. To achieve these objectives, companies must be run efficiently and in a sustainable manner. As stated earlier, the sustainability of a company is directly correlated to corporate governance practices in the entity and the effectiveness of its directors and the board. So, what is board effectiveness? To contextualise board effectiveness in this discourse, we take notice of the two key words that make up the phrase. The word board refers to a board of directors or other governance body by whatever name it is called. The King IV Report on Corporate Governance for South Africa 2016 adopted correctly, in this writer’s view, the expression ‘governing body’ to mean ‘the structure that has primary accountability for the governance and performance of the organisation’. This includes a board of directors, a board of governors, a governing council or any other phrase that an organisation or institution may use in addressing its governing body. Simply put, a board of directors is a group of persons elected or appointed with the responsibility for providing oversight and direction in the management of a company. The word ‘effectiveness’ is usually and most appropriately defined through a comparison between output and purpose. Thus, Wikipedia defines effectiveness as ‘the degree to which something is successful in producing a desired result’. Some of its synonyms are success, efficacy, productiveness, fruitfulness and potency. In the context of the board of directors, therefore, effectiveness must take into account the purpose of the company. Given the going concern basis that is foundational to company law, including Nigerian company law, the extent to which the board is able to enhance and assure the company’s sustainability would, in this writer’s view, point to the effectiveness of the board. Sustainability connotes several concepts, chief among which, is long-term viability – the ability to support or maintain an activity or process over the long term. In business, the concept of sustainability is often looked at from the perspective of the ability to manage the triple bottom line of people, planet and profits (Financial Times). A critical factor that assists in ensuring board effectiveness is board evaluation and appraisal. Experience shows that board evaluation exercise when deployed by independent professionals tends to be much more objective and effective in determining the way forward for the board, including areas for improvement, than when conducted by in-house persons. However, due to the fact that the Securities and Exchange Commission Code of Corporate Governance for public companies in Nigeria 2014 (SEC Code), required that boards conduct an annual evaluation exercise of their performance but did not expressly stipulate that the exercise should be conducted by independent consultants, some companies are more inclined to carry out internal evaluation of their boards by the company secretary or other officer. They do this in order to be seen to have fulfilled the letter of the code, thereby treating the issue as a mere checkbox activity. Not surprisingly, when the now suspended National Code of Corporate Governance 2016 came into being on 17 October 2016 – with its mandatory provisions requiring boards to undertake a ‘formal and rigorous annual evaluation’ of the performance of the board, its committees, the chairman and each individual committee member and that the performance evaluation exercise be carried out by external consultants at least once in every three years – some organisations started to comply. This again confirms the tendency for some boards to adopt a checklist approach to governance. They carry out the minimum required exercises largely due to the fact that it is a regulatory requirement. However, as this writer has previously opined, a mere checklist compliance approach to corporate governance does not in itself amount to or assure board effectiveness. True corporate governance goes beyond compliance to adopting the spirit of good practices and entrenching them as an organisational culture with the leadership – the board of directors or other governance body, setting the tone. The tone at the top is critical to corporate sustainability and success. Although, in this writer’s view, the initial timelines that the technical committee was expected to work with was rather short, the commencement of this review is very welcome indeed as it is expected to produce national codes that will address governance practices and help entrench values-based corporate governance standards in the country. Dr. Nechi Ezeako is a lawyer, chartered secretary and administrator, authorized board leadership corporate governance trainer, certified company secretary trainer, certified board evaluator and certified anti-corruption compliance trainer/consultant with over 30 years of diversified experience in the consulting, financial services, manufacturing, real estate and not-for-profit sectors. She holds, among others, a Master of Science (Distinction) degree in Corporate Governance from the Leeds Metropolitan University, now Leeds Beckett University, United Kingdom. 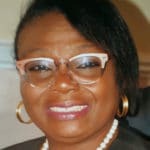 In her present roles as Executive Director, Institute of Directors, Nigeria (IoD) and the Executive Director/CEO, IoD Centre for Corporate Governance, she plays a key role in training directors and C-Suite executives of major corporations, SMEs, as well as public sector institutions on corporate governance issues.